My daughter tends this little garden in Fairfax, CA, which I visited with her earlier in September. 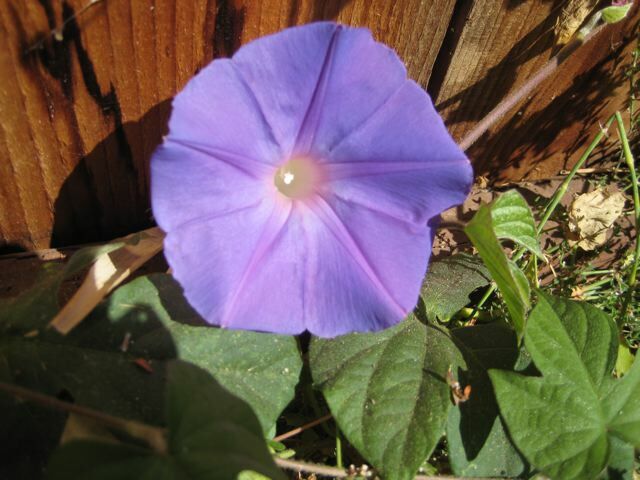 This morning glory contains 5 segments in her skirt, emblazed in a 5-pointed star. Again, we have the energy of 5-5 in Nature, helping us to change. The star reminds us of our cosmic origins. The color of purple-violet activates the energy of the Violet Transmuting Flame, which helps transmute dense energy. As you gaze upon her face, imagine the Violet Transmuting Flame moving through your entire body, cleansing the energy, and feel your own bright inner light shining forth.